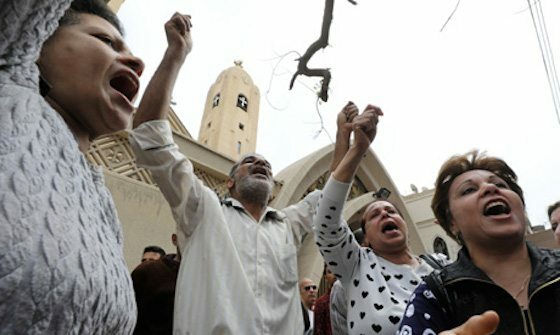 Sunday’s horrific terrorist attacks on Coptic churches in Tanta and Alexandria during Palm Sunday services, in which dozens have been killed and many more injured, should convince the Egyptian military to update its strategy against jihadis based in the Sinai Peninsula. While these aren’t the first bombings for which the Islamic State’s (ISIS) Sinai-based branch has claimed responsibility, the simultaneity of Sunday’s dual attacks suggests that, in recent months, the jihadis have become more capable, more lethal, and better connected beyond their base in northern Sinai. Yet, unfortunately, Egypt’s internal political dynamics make it unlikely that the Egyptian military will adopt a more effective strategy against ISIS in Sinai anytime soon. Cairo has considered itself at war with terrorism since July 2013, when the Egyptian military, led by then-Defense Minister Abdel Fatah al-Sisi, responded to mass protests by removing the country’s first democratically elected president, Muslim Brotherhood leader Mohamed Morsi. While Cairo’s most prominent target in this war is the Brotherhood, whose cadres have been implicated in low-profile attacks on security forces and infrastructure, the Egyptian military also began a major operation against jihadis in northern Sinai in September 2013. Egypt’s military prohibits journalists and researchers from visiting Sinai to assess the situation, but the steady – and often deadly – stream of attacks within the Sinai suggest that the operation is failing. The main jihadi group in Sinai, which swore allegiance to ISIS in October 2014, has staged numerous attacks. As my Washington Institute colleague David Schenker noted in a recent report, ISIS in Sinai has used advanced weapons to shoot down Egyptian military helicopters, destroy an M60 battle tank, and sink an Egyptian patrol boat off the coast of El-Arish. It also claimed responsibility for the October 2015 bombing of a Russian passenger jet in which 224 civilians were killed. U.S. government officials estimate that approximately 2,000 Egyptian soldiers have been killed in Sinai since the operation began – a shocking figure, considering that estimates typically put ISIS in Sinai’s membership at 1,000-1,500. While the Egyptian military effectively decapitated ISIS’ Sinai leadership in the summer of 2016, new leadership has emerged that appears to be more intimately connected to ISIS’ central leadership, which is based in Raqqa, Syria. As a result, ISIS in Sinai is increasingly targeting Egyptian civilians, and particularly Christians. The group claimed responsibility for the December 2016 attack on Cairo’s St. Mark’s Cathedral, in which 25 were killed; drove hundreds of Christians from northern Sinai after a series of killings in February; and then executed Sunday’s horrific attacks in Alexandria and Tanta. Despite ISIS’ increased reach and lethality within Egypt, the Egyptian military hasn’t changed its approach. Egypt’s brass continues to believe that it can use heavy force to “contain” the jihadis, while eschewing lighter and more targeted counterinsurgency techniques. So rather than securing Sinai’s civilian population and then mobilizing it to identify and fight the terrorists, the Egyptian military’s broad-based repression has alienated core Sinai constituencies, including some prominent Bedouin families, which have refused to cooperate with security forces until their relatives are released from prison. The generals’ objection to counterinsurgency techniques is partly semantic: Egypt’s brass believes that describing the jihadis as “insurgents” somehow validates them. But it also reflects the nature of the Egyptian military as an organization. 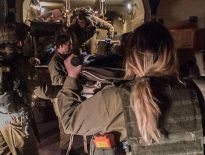 Even though it hasn’t fought a land war since the 1973 Yom Kippur War and hasn’t even participated in a land war since the 1991 Gulf War, the Egyptian military’s land-war doctrine remains essential to its internal unity. This doctrine, which focuses on defeating a conventional military by defending or capturing territory, depends on the acquisition of big weapons systems, whether through purchases or foreign aid. And by acquiring and maintaining big weapons systems – including, in recent years, new submarines, aircraft carriers, and fighter jets – the Egyptian military can justify its massive system of employment and contracting, which keeps its domestic base large and its officers satisfied. Egypt’s conventional-war doctrine also allows the generals to present themselves, both domestically and within the region, as the leaders of the Arab world’s greatest military – and as the last military that can stand up to any regional threat (even though the generals declined to do so, wisely, when Saudi Arabia asked for Egypt’s help in Syria and greater involvement in Yemen). So the generals aren’t inclined to transition towards a counterterrorism or counterinsurgency doctrine, because this would disrupt important interests within their own institution, including their own, and could catalyze a devastating internal backlash. And while the generals consider ISIS’ defeat in Egypt important, they don’t consider it to be as glorious as, say, the Egyptian military’s successful opening offensive across the Suez Canal during the 1973 war. Indeed, until the Egyptian military began its Sinai operation in September 2013, it regarded anti-jihadi efforts as (lesser) police work. It is tempting to wonder whether the sheer horror of Sunday’s twin attacks will create political pressure within Egypt that compels President Abdel Fatah al-Sisi to override his generals and change the military’s approach. But despite Sisi’s call for a three-month state of emergency, this appears unlikely. While Sisi has promoted tolerance towards Christians and called on Muslim clerics to fight radical Islamist ideology, he has never backed his words with teeth, perhaps because this would mean picking fights with institutions and constituencies that, only four years ago, unified to topple his predecessor. And Muslim Brothers’ various statements on Sunday including hideous conspiracy theories implicating the Egyptian government and the Coptic Pope in the church attacks, as well as the widespread belief within Egypt that the Muslim Brotherhood was responsible for attacking dozens of churches after Morsi’s overthrow, will bolster the view within Egypt that Sisi and the Egyptian military are the ultimate guarantors of security, even if they are imperfect. This is why Washington should tread carefully. While many within the U.S. government and on Capitol Hill recognize that the Egyptian military’s operation against ISIS in Sinai is failing, overt criticism of Sisi or the military will be interpreted within Egypt as an attack on the only things preventing all-out chaos. In this sense, U.S. President Donald Trump’s warm welcome of Sisi at the White House last week provides a rare opening for an important conversation. Having demonstrated that he is a sincere partner and friend, President Trump can now approach Sisi for a serious conversation about how Washington can help Cairo improve its performance against jihadis in the Sinai. And part of that discussion should examine how the $1.3 billion in annual U.S. military aid might be redirected to assist in those efforts to prevent Sunday’s horror from repeating itself, rather than equipping Egypt for the conventional wars of the distant past.